-Please excuse the mess… we are remodeling the area behind the desk! -BOLO: A Blue-handled Rogue Speed Rope has gone missing. If found please turn it in to a coach! -This month’s Free Friday & Social will be NEXT Friday the 17th!! 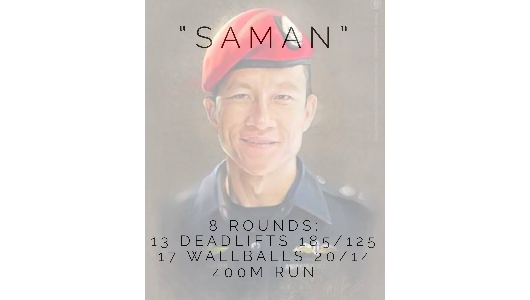 -In Honor of Thai Navy Seal Saman Kunan who lost his life during a mission to save 12 children and their soccer coach who were trapped in a cave for 18 day. Rest in Peace Brave Warrior.